Fresh into the rap scene, Big Dealz has introduced himself perfectly with the release of his first single ‘Time Bomb’. 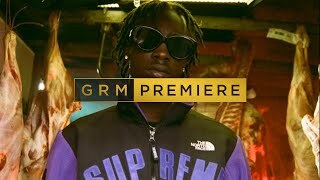 The track sees the UK rapper spit some real truths and gives us non-stop bars for three minutes on a production reminiscent to the likes of Nines and his crew Ice City Boyz. 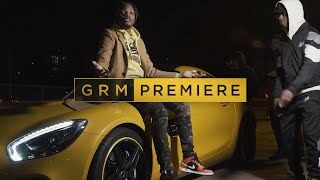 Directed by Teeeezy C who has previously gave us visuals for the likes of Fredo and more recently M Huncho, ‘Time Bomb’ finds Big Dealz posted outside an industrial warehouse as he keeps it simple and lets you hear his lyrics as he switches through flows and topics. Dealz gives us a contrast of himself on his debut track as he talks being young and saving his money for Jordan’s to now being able to turn up and style in different brands. “Been getting busy, counting lizzy, it’s a team thing”. Big Dealz lets us know a main principle of his is sharing bread with his team and main ones and many will be able to relate to this. ‘Time Bomb’ is just the start for Dealz, and he’s promised a freestyle won’t be too long away from being released. Check the new track above.